When the Smithsonian National Museum of African American History and Culture (NMAAHC) opens next month in Washington, D.C., filling the last available parcel on the National Mall, its collections will include about 37,000 artifacts donated by individuals who answered a nationwide call issued in 2008 to help animate the stories of African Americans and fill the 380,000-square-foot space. The donations poured in from the attics and closets of ordinary people, from devoted individual collectors and from existing public collections. You as a leader, you have a dream, and you have ideas of how to get to that dream. But you’re never really sure until you see how the public responds. To see people open their doors, open their trunks, open their attics was humbling, and in some ways made me very tearful. Several items that belonged to Harriet Tubman: a homemade knife and fork; the silk shawl Queen Victoria gave her in 1897 as an invitation to the Diamond Jubilee; and Tubman’s hymnal—“a powerful reminder that even though she couldn’t read, she kept close to her heart the songs that not only moved her spirit, but also helped guide slaves toward…freedom.” These artifacts, along with photographs from Tubman’s funeral, came from 82-year-old Charles Leroy Blockson, a Philadelphia historian and well-known collector of African American literature, whose collection is housed at Temple University. Shards of glass from the windows of the 16th Street Baptist Church in Birmingham, Alabama, collected just a few days after the 1963 bombing there that killed four young black girls. They’d been saved by Joan Mulholland, who as an undergraduate participated in sit-ins and Freedom Rides during the civil rights movement. Mulholland, who lives in Virginia, donated most of the glass shards, keeping a few for herself, and also gave the museum virtually all the other relics she’d saved from that era. 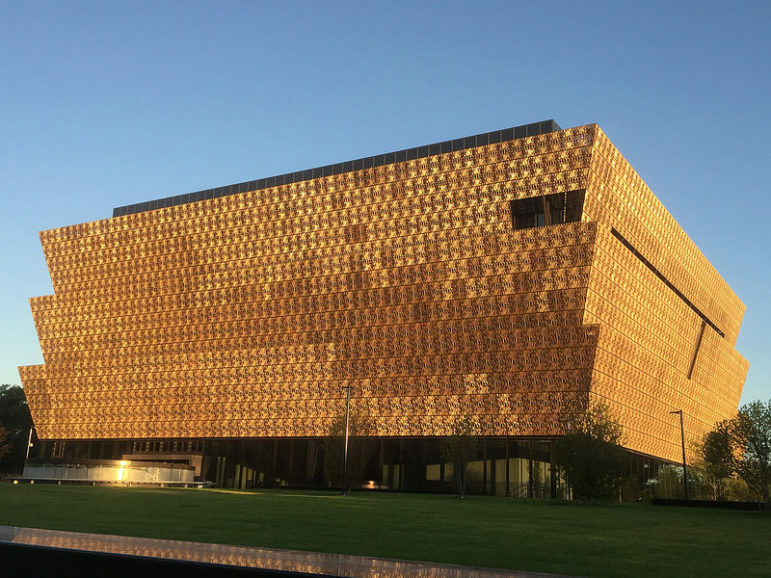 While it may not have been the primary reason for donating artifacts to NMAAHC, those who did so now have the reassurance that their treasures will be preserved and well cared for by the Smithsonian. In talking to prospective contributors, “We have to talk about how our closet is a different type of closet, and what it means moving something from a family’s legacy to a nation’s legacy,” says Michèle Gates Moresi, curator of collections at NMAAHC.